2011 was a milestone year filled with celebrations to mark the Library’s 175 years of public service and information innovation. People throughout NLM served on planning committees, suggested ideas on the NLM anniversary Wiki, or participated in various events. The 175th anniversary activities also engaged people in the medical and scientific communities, library and informatics groups, the general public and even members of Congress. Here is a look back at a remarkable year. 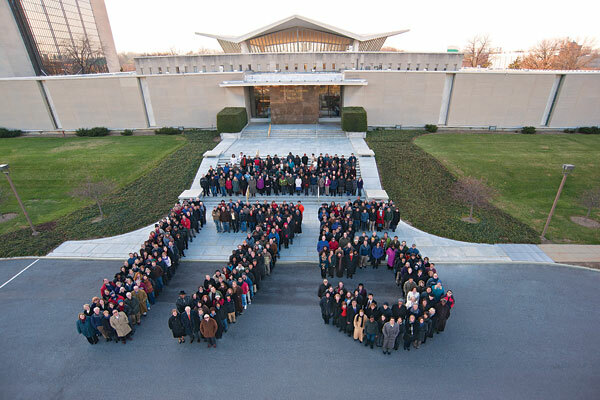 As a tool for outreach to NLM users around the world, a 175th anniversary Web site documenting and publicizing activities related to the anniversary was launched. In addition to informing visitors of our programs, services and partners, the site included a calendar of events, a timeline of our historical milestones, an image gallery and information on anniversary contests. NLM held two contests which engaged users of NLM resources and data from around the United States. The NLM & You video contest invited people to create original videos promoting awareness of NLM’s products and services. Entries were uploaded to YouTube, where they are available on the NLM channel which was recently launched. NLM also held its first software development challenge, Show Off Your Apps: Innovative Uses of NLM Information. Five winning apps and five honorable mentions were honored at an awards ceremony that featured US Chief Technology Officer Aneesh Chopra and HHS Chief Technology Officer Todd Park. The ongoing NLM History of Medicine Lecture Series featured several anniversary-themed talks given throughout the year, one of which announced the publication of the book, Hidden Treasure: The National Library of Medicine, and displayed a selection of items from the historical collection that are showcased in the book. In addition, HMD’s Dr. Stephen Greenberg presented his own perspective on NLM’s history in a lecture entitled, NLM at 175: A Librarian’s View. Other special lectures included a presentation by the IBM team collaborating on the Watson project and Biomedical Libraries in the Next Decades: Open, Diffuse, and Very Personal by Dr. Clifford Lynch of the Coalition for Networked Information, exploring the forces and trends currently reshaping biomedical libraries. NLM opened the Native Voices: Native Peoples’ Concepts of Health and Illness exhibition, which includes more than 100 interviews exploring the themes of heritage, community and tradition, and also a healing totem which is now permanently installed in the NLM herb garden. The opening ceremony involved performances of traditional Native American dances as well as a blessing of the totem. A joint exhibition with the Smithsonian’s National Museum of American History, titled So Much Need of Service, which told the story of Civil War nurse Amanda Akin. The display was housed in the Small Documents Gallery of the National Museum of American History from April 22-July 31. This exhibition also commemorated the 150th anniversary of the beginning of the Civil War. Members of Congress recognized NLM’s contributions to medicine, public health, informatics and technology on three separate occasions: A congressional citation was presented to Dr. Lindberg by Representative Chris Van Hollen of Maryland; Senator Tom Harkin of Iowa introduced legislation, S. Res. 163, commemorating the 175th anniversary of the United States National Library of Medicine; and Representative Michael C. Burgess of Texas, a physician, issued a statement in the Congressional Record paying tribute to the Library on the occasion of its 175th anniversary. The NLM Board of Regents issued resolutions commending organizations with which the Library has had long and fruitful relationships, including the American Medical Informatics Association, the International Council for Scientific and Technical Information and the Medical Library Association. The Friends of the National Library of Medicine, which also celebrated its 25th anniversary last year, sponsored several commemorative events for NLM’s 175th anniversary, including a symposium on the future of clinical trials and an anniversary-themed awards dinner. NLM held its first talent show. Showtime at NLM featured a wide range of lively peformances by employees and contractors. NLM commissioned a series of stamps commemorating the 175th anniversary. The artist was Joe Fitzgerald, a former graphic designer for the NLM and the designer of the 2005 United States Mint nickel. NLM 175th anniversary photo by jessicamarcotte.com. Show Off Your Apps contest winners and guest speakers at the November 2011 awards ceremony. 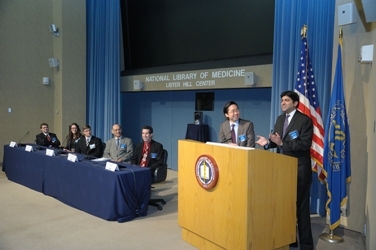 From left to right: Winners Jerome Jourquin, Anouk Stein, Alan Finkel, Antonio Zamora, Jeff Saffer, HHS Chief Technology Officer Todd Park and US Chief Technology Officer Aneesh Chopra. Photo by Michael Spencer. 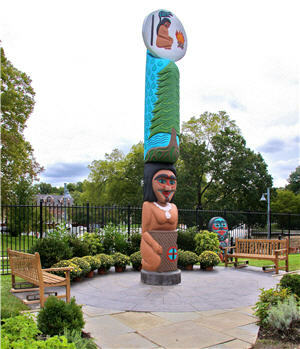 20-foot tall healing totem installed in the herb garden in front of NLM. Photo by Fran Sandridge. 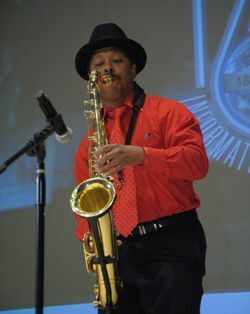 Terry Ahmed, in NLM’s Division of Library Operations, performs during NLM’s 175th anniversary talent show. Photo by Bill Branson.